Commercial Flat Roofing Since "1926"
For three generations, Try-Lock Roofing, Inc. has been Buffalo and Western New York's leading industrial and commercial roofing contractor. From roof replacement to new roof installation to minor repairs, re-covers and coatings. At Try-Lock Roofing Inc., we are vigilant in our search and review of emerging technologies that will provide our commercial roofing clients with the most current products available. We also utilize only time-tested commercial flat roof systems for each project. 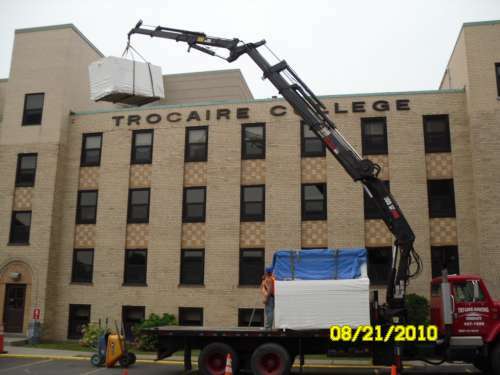 Try-Lock Roofing Inc. has been installing industrial and commercial flat roofs for over 90 years! We specialize in being able to recommend and install the best possible low-slope industrial roofing system based on your individual needs. Try-Lock Roofing Inc. is a fully licensed and insured commercial and industrial roofing contractor in WNY. As a Firestone Red Shield Licensed Contractor and an Award-Winning GAF Factory-Certified Master Select Installer, we are able to provide you with enhanced system warranties - one of which includes a program that offers a factory inspection of your finished roof! Try-Lock Roofing is committed to long-term customer satisfaction. That is why upon completion of every project we offer programs designed to help maintain a commercial flat roof system that will serve you for many years to come.